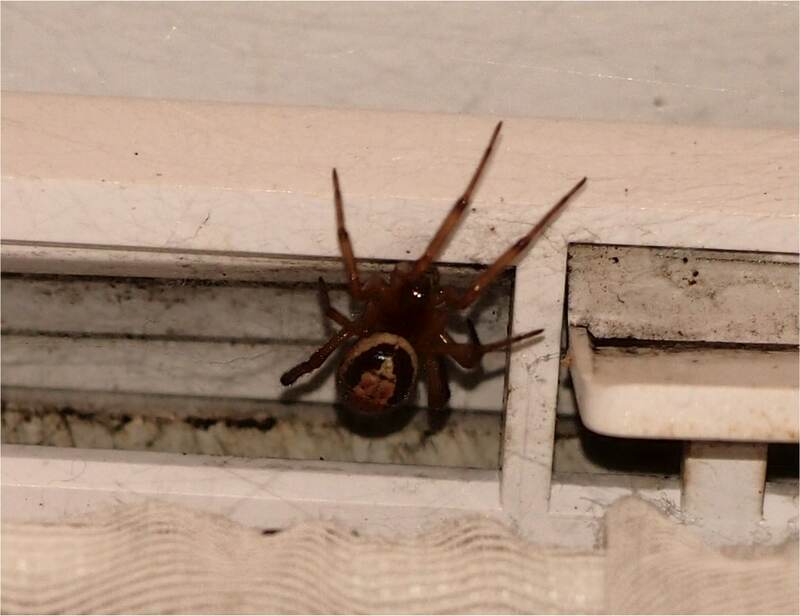 Confirmation that this is Steatoda nobilis, often called false widow is what I ask for. I have shared a bathroom happily with this spider for a couple of months. Yes that does look like Steatoda nobilis, the marking on the back is very clear.